A unique non-GMO cantaloupe melon variety (Cucumis melo L.) has been discovered in 1989. Obtained from traditional crosslinks, this variety is characterized by an incredible shelf life. 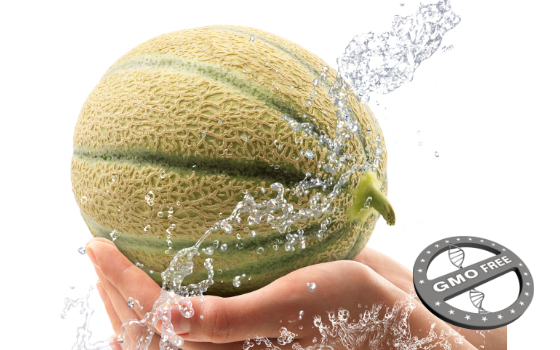 10 years of research have allowed solving the mystery of this melon variety. This specific variety has a 5 to 10 times higher content than other melons in an essential antioxidant enzyme: the Superoxide Dismutase (SOD). Antioxidant properties of SOD provide protection against oxidation, which explain why these melons have an impressive shelf life compared to classical varieties. After more than 3 weeks, Bionov melons are still intact when classical ones are subjected to oxidation.